Here is our latest gallery with several pictures from each wedding so you can see some of the variety we do for each couple. We're into capturing memories and this is just a small sample of the hundreds of pictures we take while adding to all the smoothly-flowing fun of your day. 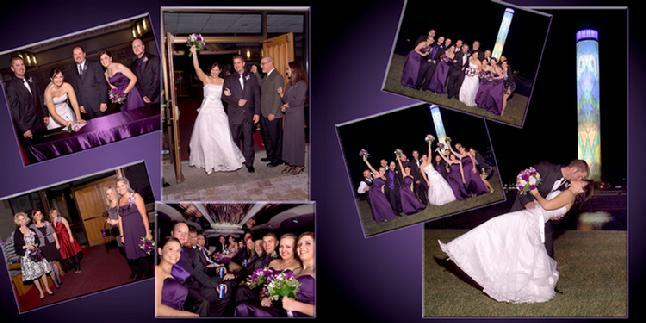 Check out our page from an actual Bride's Album layout shown above. You can see attention to detail in every picture and how we go to great locations to record the memories of your day!